Orchids Bouquets delivered in Charlestown. 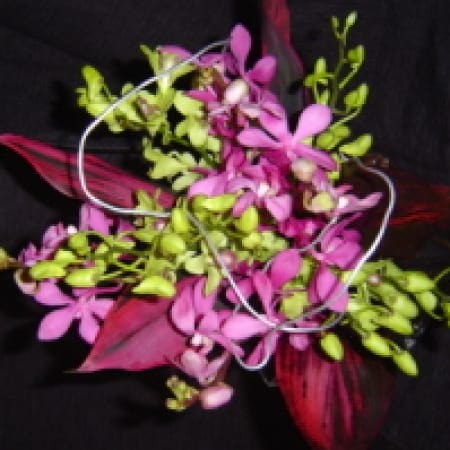 Amaranthine`s striking Exquisite Orchid Bouquet in modern design with mixed orchids and red foliages. A long lasting bouquet, that can be refreshed and will stay looking fabulous. Gift wrapped and delivered. A wonderful way to say Congratulations from Amaranthine Flowers By Design, New Lambton Newcastle. Same day delivery, six days a week, available to all areas of Newcastle, Lake Macquarie and Maitland. Including John Hunter Hospital, Charlestown Square, Newcastle Private Hospital, Westfield Kotara, Lake Macquarie Private Hospital, Maitland Hospital and Mater Hospital.